Victor Alexander Bruce, 9th Earl of Elgin and 13th Earl of Kincardine, was born in 1849. He spent a lifetime in public service, as a Liberal politician and as Viceroy of India. Known as “the Walking Viceroy”, his progressive and humanitarian policies helped the subcontinent through drought and shaped the extensive railway system still in place today. 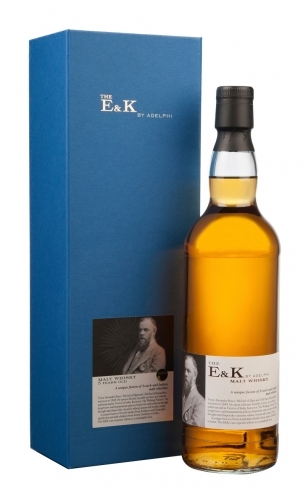 A unique fusion of Scotch whisky from Ardmore and Glenrothes distilleries and malt whiskies from Amrut Distillery in India, The E&K is an exquisite tribute to a remarkable Scot.